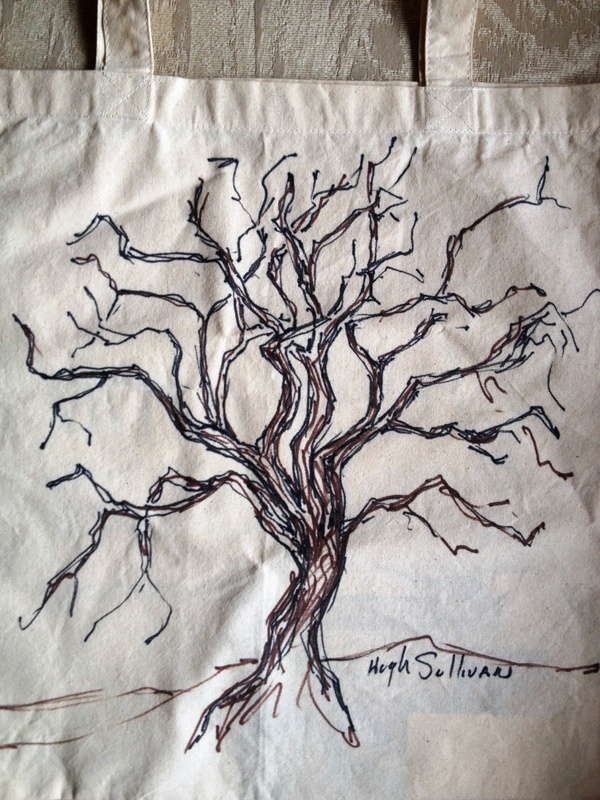 From the Art Takes Times Square artists – a sketch of a tree on the bag. It took the artist less than fifteen minutes to draw/sketch this. The finished bags were free; you just had to sign up to get one. Nobody seemed to want it, so I asked for it. I could always use another tote or carry-all.